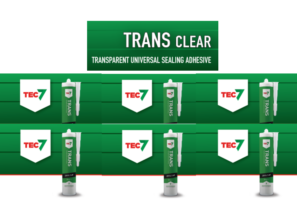 TRANS Inox is a high-quality, semi-transparent sealant. This means that the sealant is transparent in thin layers, but is metallic-coloured opaque in thicker layers. This offers many advantages when sealing (thicker) joints in metallic-coloured materials, or at the lines of transition between different coloured substrates. TRANS Inox continues to be elastic, watertight and fungus resistant. 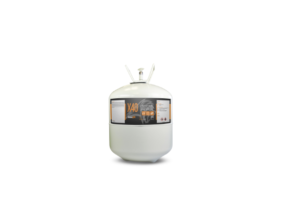 Based on MS polymers, offering excellent adhesion and sealing applications. 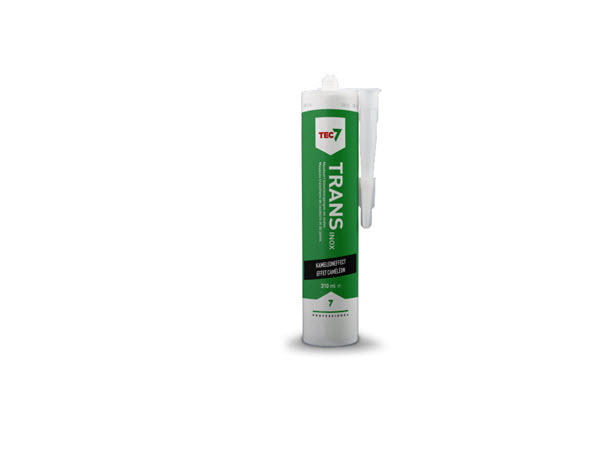 Additionally, TRANS Inox offers excellent adhesion, even on damp surfaces. TRANS Inox has multiple applications in the building, construction, commerical kitchen, urinal, airconditioning/ventilation, window framing, sanitary and general maintenance areas. Apply to a clean, dust- and grease-free substrate. Depending on the nature of the soiling, the surface must be cleaned with TEC7 Cleaner and/or Multi Clean. 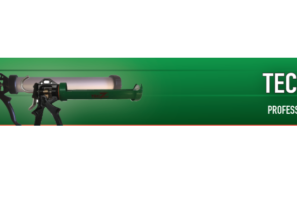 Apply Trans Inox by Tec7 Gun. Finish off smooth substrates with TEC7 Cleaner and porous surfaces and natural stone with HP Clean.